Let Us Help You Design Your Dream Kitchen Today. 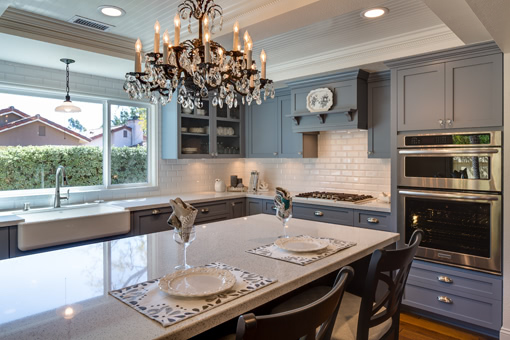 Imperial Custom Cabinets has been building custom kitchen cabinets, bathroom cabinets, and wall units for San Diego County since 1971. With local craftsmanship, innumerable options and custom sizing to maximize storage space, custom cabinets are a better buy than the pre-fabricated options at the big box stores. Our customer satisfaction speaks to our strong business ethics and quality control. You can find some of our award winning kitchens in San Diego Home and Garden and Tour D’Elegance. 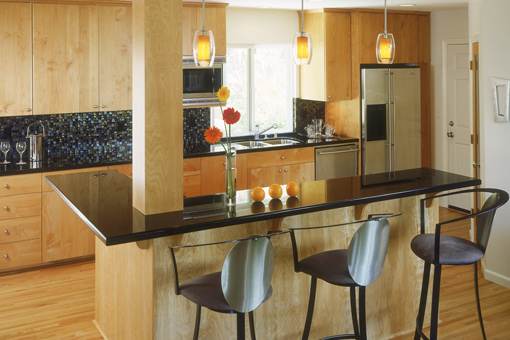 Over the years I have worked with Art and his team on a number of cabinetry projects, large and small. The quality of the cabinetry, excellent installation, and just as important, the customer service, has been the best - bar none! As a professional interior designer with almost 30 years experience I have been exposed to a variety of cabinetry companies and I can say with confidence that Art and his team rank right at the top! 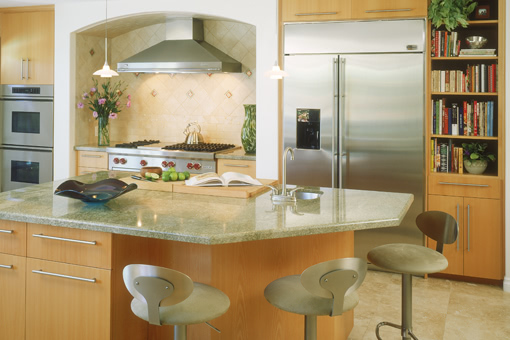 Imperial Custom Cabinets has been our go-to cabinet shop for more than 30 years. They take care of our clients in the manner that represents our company well. We can count on them for innovation, quality and to stand behind their work. Had an incredible experience with Imperial Cabinets. They completed work in promised time. Cabinets look great. I definitely recommend. Very pleased with the work Imperial has done for me. 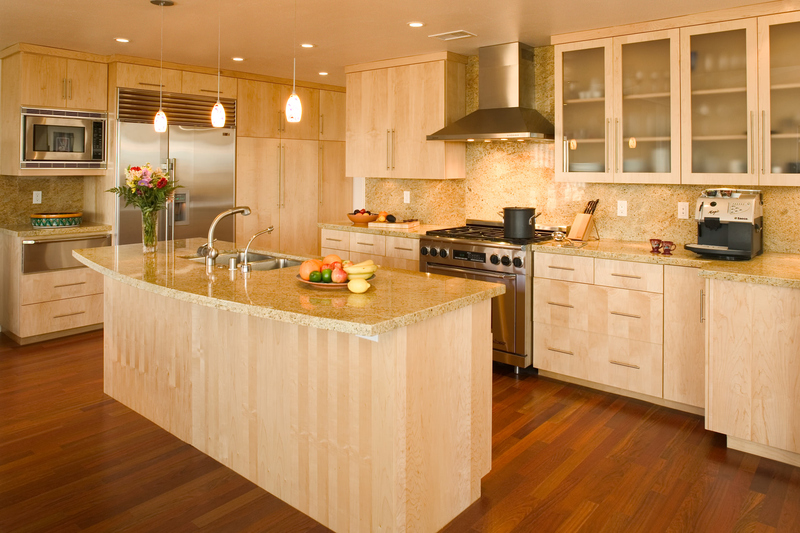 They have been professional throughout the entire process from designing, painting, and installing my custom cabinets. I will be using them again very soon! It's been a year and I still look at our kitchen and can't believe how beautiful it is. Friends and family that saw it initially still come over and compliment it. Everything from the design, the drafts, the quality of the product not only met our expectations, but exceeded them. The deadlines were met during the entire process. Everyone in the company is very professional. They know the meaning of customer service! Great company, product and employees today, as they were in 1981 when I built my first home using Imperial Cabinets. The cabinets are everything my wife envisioned and then some. Thanks again to everyone. This is the third time that we have used Imperial Cabinets to help improve our home and we have always been completely satisfied. Art and all the staff are courteous and pleasant, and their work is excellent! They work quickly and efficiently and clean up nicely. Our cabinets are beautiful and the workmanship is the best!! As an interior designer, I have high expectations and require a lot of detail from each of my tradesmen. I work with Imperial Custom Cabinets exclusively and have completed several projects with their team. Cabinets can be complicated but Imperial makes the process simple, even for those who are not in the trade. They meet my deadlines and the quality of their product is unbeatable. We have worked with Imperial on many high end jobs and they have always exceeded our expectations. They do quality work and provide wonderful customer service. We always look forward to when we have the opportunity to work with them. Imperial Custom Cabinets does excellent work! They are very professional and timely. We would refer to all family and friends without hesitation. We contracted Imperial Custom Cabinets, Inc. for kitchen, family room, bathroom and laundry room cabinets. Art sat down with Chuck and me to get our ideas and came up with cabinets and a mantle of unsurpassed style, design and quality. Every nook and cranny was utilized with storage elements suggested to maximize space. The completed work was within our budget, professionally installed, and beyond our expectations. From design to acceptance through installation, Imperial Custom Cabinets exceeded our expectations and even completed our project early! Thanks Again Imperial Custom Cabinets!